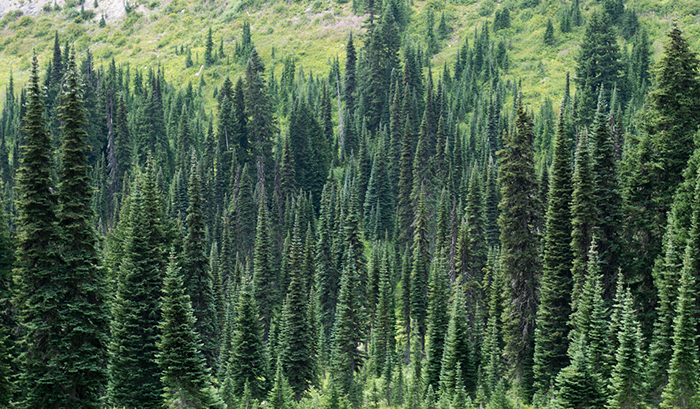 WCV and Washington Environmental Council work hard to protect Washington’s forests, with the goal to improve management of these important lands. One way we work toward this goal is by holding our elected officials accountable. In 2016 WCV endorsed and elected Hilary Franz, Washington State’s 14th Commissioner of Public Lands, directing the state’s Department of Natural Resources. This position is the only elected statewide office that works almost exclusively with our state’s natural resources, making it a very important position for Washington’s environment. 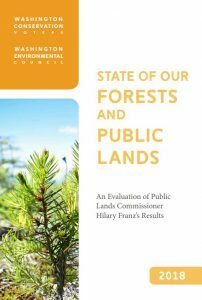 The 2018 State of Our Forests and Public Lands report looks back on the Commissioner’s first 18 months in office to reflect on where progress has been made, where work still needs to be done, and where things need improvement. We focused the report on policy areas most relevant to WCV’s work. The Commissioner has made progress in some areas, especially in aquatics and public engagement. However, forestry issues continue to be complicated with mixed results. We applaud the Commissioner for her work on the 20-year Forest Health Strategic Plan in Eastern Washington and bringing communities together around the marbled murrelet at the Solutions Table, but we would like to see more improvements around classifying fish-bearing streams and Forest Stewardship Council (FSC) certification. This office has such incredible potential for our environment. By leading both the Board of Natural Resources for state lands and the Forest Practices Board for private lands the Commissioner has the ability to make positive change on millions of acres. WCV looks forward to working with the Commissioner and her staff to realize this promise.